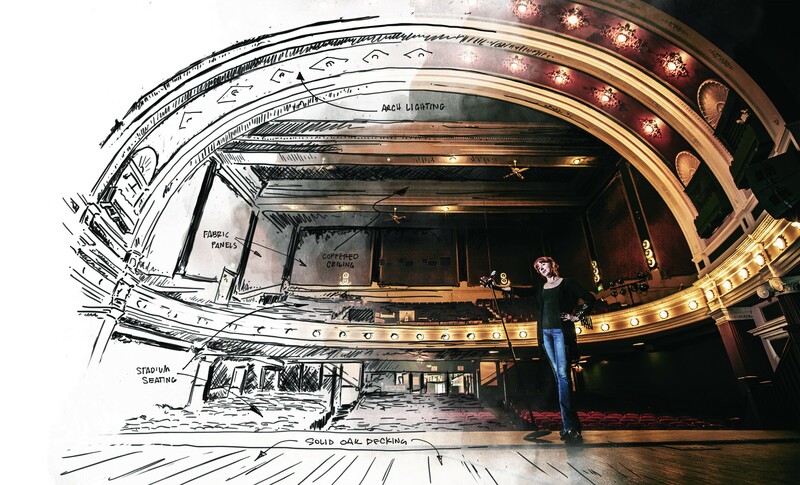 The story of Goshen Theater, reborn. Her vintage Ferragamo’s, studded and black, clack across the empty stage. Maple boards creak intermittently, each filled with memories of the thousands of footsteps that have come before. As she slowly edges across the floor, she’s careful to feel each board, she’s careful to feel each imperfection, the result of generations of previous acts. The subtle bend under her foot bounces back with a pulse of history she swears she can feel. The theater is dark. Lights off, her mind is left to fill in the details, to soften the imperfections. The glow from the emergency exit bounds through the dusty air and falls softly on her auburn hair as she begins. Amber Burgess has done this act before. Whenever she finds a new space, she takes time, alone, to get to know it. To have a conversation with it. This conversation is a classic one. Why did she choose that song? Why in this place? She couldn’t possibly have known how fitting it was; she doesn’t yet know the history. She hasn’t yet pulled back the curtain. Her alto voice soars, cutting through the dust and darkness and reverberating through the hollows of the theater. Bouncing off a domed ceiling. Gleaning off gilded Deco fixtures befitting Jay Gatsby himself. Filling the once empty and abandoned space with new life through her gift. Restoring it’s weakened bones, just as the community has set out to bring back this nearly forgotten cultural centerpiece with their gifts. Oz, for Amber, was the old Goshen Theater, and behind the curtain was a century of problems. The historic theater had seen its share of adversity. Some say it was born of fire. Mere months after welcoming the governor and other dignitaries for its official birthdate in 1905, the then Jefferson Theater was lost to a neighboring blaze that took out the entirety of the structure. Some two years later, the Jefferson was born again. The arts scene in Goshen at the time could never make use of the gorgeous theater space as it was intended. Traveling shows were scant, and after just a few decades, buzz around the theater dwindled. But Goshen Theater saw yet another life. Ask just about any Goshen native, and you’ll be regaled with memories of Jailhouse Rock, The Blob, or a handful of other great films that made their local debut at the Goshen. Those seats once held by elite community members taking in a live show were now occupied by the next generation of entertainment seekers. Those old creaky boards, given a decades-long rest, saw new footsteps, champagne was exchanged for soda and charcuterie turned in for Jujubes. The space continued to fill with memories just as it continued to fill the memories of those who called Goshen home. But the social hub of Goshen eventually felt the pinch of larger theater chains, and those dusty, velvety seats saw fewer and fewer occupants. Stage shows and private events couldn’t continue to bear the weight of the theater. Repairs and maintenance on the turn-of-the-century space quickly soared beyond income. In 1986, the very same year that Weber’s Phantom would begin a slow rebirth of stage shows, the Goshen Theater shuttered its doors, locking up with it one of the most splendid theaters and its decades of memories. Call it new life. Call it a comeback. Call it the next act. 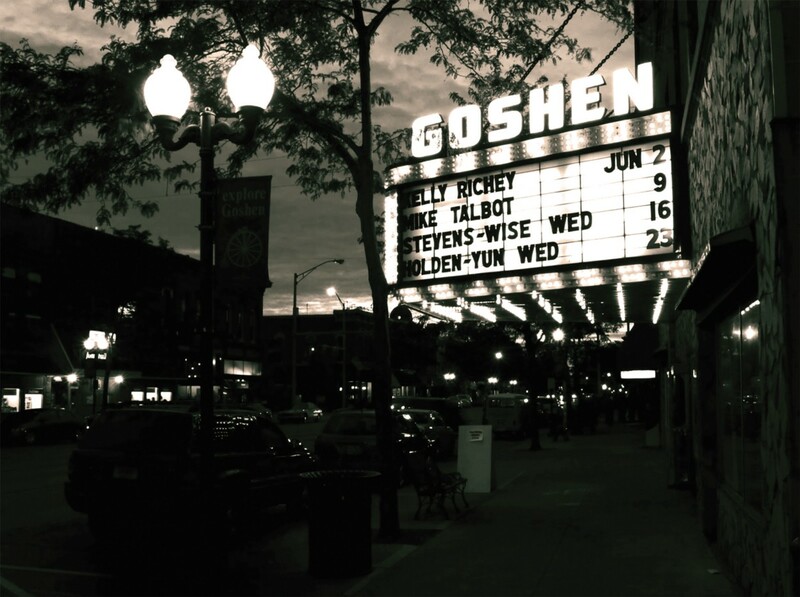 In the past few years, the Goshen Theater has been alive and bustling. 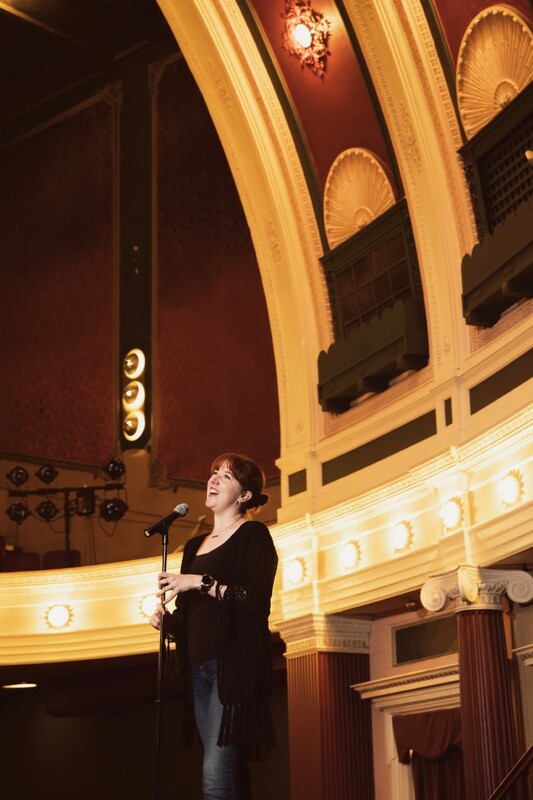 It has become home to jazz shows, live comedy, full-scale productions, movie nights, church services, and one of the premier film festivals in the Midwest. The old Jeffersonian is again breathing life into the community that has brought it back from near death a number of times. But behind that curtain remained all the scars of abandonment. Those creaky floorboards, while beautiful, demanded restoration. The beautiful Deco sconces sat askew and weathered. The lack of modern amenities, omitted from those 1907 building plans, made access a challenge. The beautiful relic carried into the new millennium some problems of the past. Restrooms at the theater were old, outmoded, and not even a quarter of the size they ought to have been. Concession areas crowded the entryway. Seats and infrastructure needed paint and repair. Before this facility could call itself home to the next tier of art and music, investment was needed. Investment in arts and culture. An investment in history and future. Investment in home. And an investment it got. Amber and her cohorts call this new era, fittingly, “The Next Act,” and it has already raised $5.2 million in its first phase. 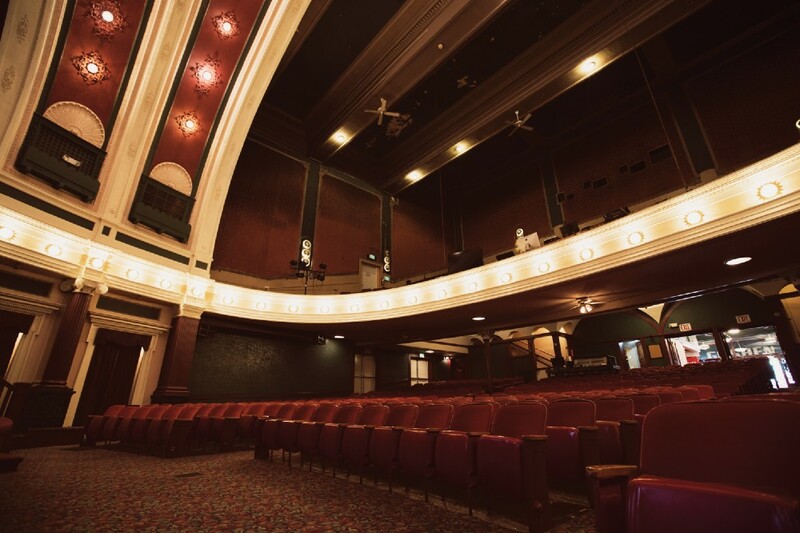 With a $1 million Vibrant Communities grant from the Community Foundation of Elkhart County leading the way, the Goshen Theater is transforming itself into a truly flexible event space — one that can truly transform Elkhart County. A theater, after all, is a beacon of culture — a modern town square. It’s a place for families to gather, friends to cement their bonds, budding love to take shape without pressure, and decades-old relationships to rekindle the romance. In today’s world, a theater may well be the last place where we untether from our digital personas and connect in real-time, pulling down the same air, reading the smallest movements in one another, absorbing the glint in each other’s eyes. The first phase will install modern amenities, beautify the space, and ensure it meets all the standards to house any and all types of entertainment. As a result, the community around the theater will be injected with a B12 shot of culture and vibrancy. Displaced artists and their art will find a new home, tens of thousands will reclaim their piece of history, and others will create their own history in that old playhouse so splendid. It’s palpable in the air, as Amber floats through the refrain. If your eye could will itself away from her, it would scan the details of the room. “It’s got good bones,” she would later jokingly lob the cliché. But she’s right. Your eyes would fall on the arc of the balcony and the majesty of its ornate ceiling. It’s hard to imagine a world in which such a marvel would fall to ruin. But we would have been there, if not for the hard work of a relentless few, the charity of local philanthropists, and the investment from countless patrons, each doing their work to improve the place they call home. The red velvety seats seem cleaner now. The dust in the air has fallen away. Amber can see the governor in his balcony seat, his gray ttailcoatdraped across his lap. Eyes closed, she can feel the buzz; anyone can. Like a boulder atop a mountain held in place by only a pebble, the potential energy would soon be turned kinetic under her watch. The echoes of a century would be let loose again, and again, Elkhart County would have a hub of culture and art. She’s picking up steam now. Energized by what she swears are some mystic chords of history, she barely makes contact with those boards. The place is awakened, and the big dreams of those patrons are awakened with them. Part museum curator, part manager, all artist, Amber is ready to see those dreams come to life as she opens her eyes to pull in the full scene of her new home…her new Oz. The dreams that you dream, at least for this vestige of higher art and culture, really do come true.